We can create a lot of confusion in God's work and in our own lives when we use our human reasoning and try to help God according to our own understanding. "The Lord said to Abraham, `Look towards the heavens, and count the stars. So shall your descendants be. '...........Now Sarah had borne Abraham no children.....So Sarah took Hagar, the Egyptian, her maid, and gave her to Abraham as his wife....And Hagar bore Ishmael to him.....And Abraham said to God, `Oh that Ishmael might live before Thee'. But God said, `No, but Sarah your wife shall bear you a son....and I shall establish my covenant with him'" (Gen.15:5; 16:1, 3, 16; 17:18, 19). God had promised Abraham seed as countless as the stars. 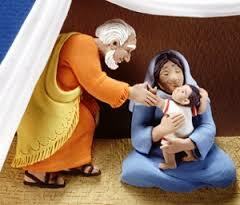 Yet Sarah was barren. Abraham and Sarah must have both feared that God's Name would be dishonored, if the promise was not fulfilled. So at Sarah's suggestion, Abraham took another wife and had a son through her, in order to help God out of a tight spot!! What Abraham did not realize was that God needs no such help. The help that he offered God (by producing Ishmael) finally caused problems not only for his wife, but also for his son Isaac and his descendants. How often we feel that without our help, God's promises will not be fulfilled. And so we move and act when God hasn't told us to move or act. We trust in our man-made plans and efforts to do God's work, and don't believe sufficiently in waiting on the Lord to direct us. v Jesus never did anything in His life without seeking His Father's will and guidance (Jn.5:19, 30). 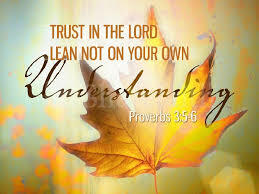 But most believers don't seek God's will and guidance like that, because they trust more in themselves than in God!! v Our lack of prayer and our leaning on our own understanding (or our wife's understanding, as in Abraham's case above!!!) in the decisions that we take, is what brings confusion in our homes, and in God's work. God had asked Moses only to speak to the rock this time. But Moses decided to help God by striking the rock twice. How true it is that the flesh would rather strike hard (and twice) than speak gently (once)! We feel that God's purposes will be accomplished quicker with a bit of human hardness, even when He commands us to be gentle (Mt.11:28, 29). But it is through His kindness that God leads people to repentance (Rom.2:4). v Moses may also have felt that since God had asked him to strike the rock once before (Ex.17:6), it must be so every time. Many imagine that the Holy Spirit must always work in the same way as He did earlier or elsewhere! And so they try to help Him with psychological gimmicks to bring "revival", to "heal" the sick, and to get people to "speak in tongues". What they don't realize is that the Holy Spirit works differently at different times, and does not need any soulish help to manifest his gifts. 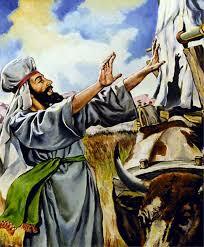 "Uzzah reached out toward the ark of God and took hold of it, for the oxen nearly upset it. And the anger of the Lord burned against Uzzah, and God struck him down there for his irreverence; and he died there" (2 Sam.6:6, 7). v Uzzah's intentions were good. He really longed to protect the ark of God's testimony from falling down. But he was not a Levite, and so he had no right to touch the ark. He went outside his boundaries. This was so serious a matter, that God slew him. We cannot trifle with God's laws. The application to our lives, of the principles outlined in the above examples, are manifold. Let us ask God then for light on this matter in relation to our own life and ministry. 1. Father Lord, Forgive me in every way I have tried to help you; in the name of Jesus. 2. Lord Jesus, I receive your mercies in every facet of my life in the name of Jesus. 3. Lord help me not to use my human reasoning in spiritual things in the name of Jesus. 4. I recover back, every blessing I have lost due to human reasoning in the name of Jesus. 5. Every door that has been closed against me by doing things according to my own will; Open! In the name of Jesus. 6. O God arise life up my head and let me shine in the name of Jesus. 7. My life shall not be ridicule but it shall be a glorious one in the name of Jesus. 8. Father Lord! Announce my name for promotion this week, in the name of Jesus. 10. The enemy shall find it difficult to understand the manner of God’s blessings in my lord. 11. This month; God shall execute his divine promise for my life in the name of Jesus. 12. Throughout the year, I shall be a mysterious wonder, by the power in the blood of Jesus.